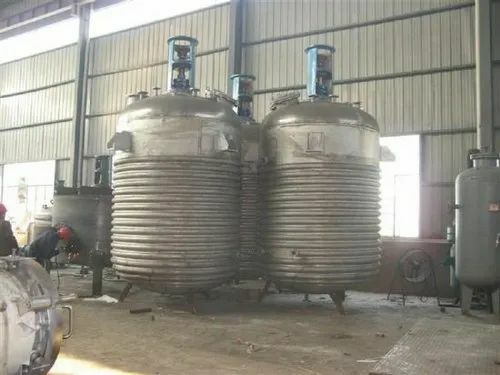 We have emerged as the foremost manufacturer and supplier of Chemical Reactors that are used for storing various types of industrial liquids and gases. Our experienced professionals manufacture these vessels using the best quality raw material and sophisticated technology following the predefined quality standards. As well, customers can avail these products from us in various specifications at market leading price. IPEM Industries specializes in the design, development & manufacturing of various equipment used in different Process Industrial units like Steel Industries, Oil and Gas Industries, Pharmaceutical Sectors, Chemical Industries, Fertilizer equipment, Sugar Industries, Power plant equipment, Dairy Equipment, Cement plant equipment, Defence systems, Foundry equipment. The equipment devised by us are configured, fabricated and designed in confirmation with the client's requirements. The selection of material of construction completely depends on the varying applications. Our products are known for their low maintenance, easy installation, low cost, efficiency, accuracy, and durability. We use the best grade raw material sourced from trusted vendors, which includes great quality copper, brass, Monel, MS and SS. All our products are manufactured at our state-of-the-art production facility which is spread over a vast area of 10000 sq. ft. in Ahmedabad - Gujarat. Our quality testing team conducts stringent tests on all levels of production, in our hi-tech laboratory that is installed with the best grade hydraulic, pneumatic and dies penetrant testing equipment. Moreover, we also offer customization services using the CAD and CAM facilities, along with client specific packaging using wooden boxes. Clients can also avail samples for testing our product quality before placing their final order. (1) IPEM shall be a System Governed, controlled and monitored, devoted to outright customer delights and augmenting investors’ value. (2) IPEM shall be creative, electrifying team, continual improving in soul to win universal heights. (3) IPEM shall contagious the nation with dignity and Prosperity, belief, while admitting expectation of customer, employees, supplier, and society. IPEM shall aspire to flatter the world class organization in, manufacturing, best in class custom built technology, integration of industrial process equipment & system, providing delights to customers, employees, society and nation.